It is a truly fabulous Friday here in Winnipeg. The weather is mild and the sun is BRIGHT. I have the day off and after running a few errands and cleaning a few things around the house I am working on some Drakestail business and enjoying some cuddle time with my dogs. I’m feeling really great about today however, that is a very rare occurrence for me in the winter months. I usually struggle through each day feeling slow and low due to lack of sunshine in the sky. Even with daily extra vitamin D and spending time outdoors daily and a blue light at my desk I still have a rough go from mid-November through til March normally. One thing I try to do when I am feeling particularly rough is to queue up 4 or 5 stellar dancing songs and let loose in my house. Sometimes I just gotta shake what my mama gave me! The cat usually stares at me like I’ve lost it and the dogs follow me around, tails wagging, grins on their faces not really sure what’s happening, but playing along nonetheless. I give myself 20 to 30 minutes of uninterrupted, cut loose, rip up the floor nonsensical dancing. No matter how rough I felt before, that always puts a smile on my face. It gets my blood pumping and gives me a burst of energy. It also often has the bonus side effect of stirring some creativity in me. Which is great because when I am feeling slow and low creativity is often nowhere to be found. 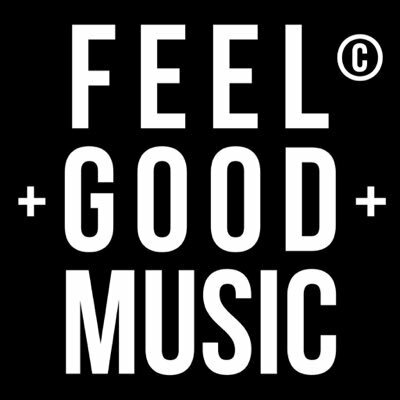 So… what are some of your favourite, go to, feel good songs? The ones you cannot help but sing along to, cannot help but shake it a little when they come on the radio, I want to know! I hope you all have a fab Friday and if the weather isn’t being as good to you wherever you are, try my shake it trick. I am sure it’ll help! Have a fab Friday and a great weekend! In November I was fortunate enough to spend 3 weeks visiting various stunning places in Jamaica. Needless to say since I’ve been back home I am missing the ocean breeze and those gorgeous sunsets. 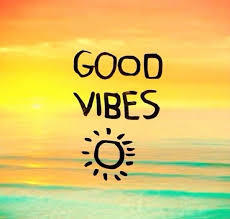 So for this FabFriday I am simply sending out good vibes to all. I hope you have a great weekend, be good to yourself, and enjoy a fabulous Friday! 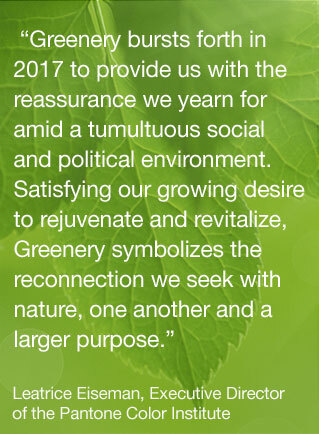 New Year is here and GREENERY is the colour for 2017! If you’ve followed our blog for awhile now you may recall we like to start off each new year sharing the pantone colour of the year with you. And I must say I am rather smitten with their selection for 2017! It brings to mind FRESH, NATURE and CALM to me and I cannot wait to incorporate it into some upcoming projects I have simmering in the back of my mind. How fantastic is GREENERY? I just look at it and it makes me happy. If you are curious about Pantone’s past colours of the year or want more details about why they selected it here is a link to Pantone’s webpost about it. I am so thankful for all the happiness 2016 brought me. Here are some of my highlights! In February my fiancé Craig took me to Las Vegas for the first time. We got to hike in Valley of fire state park. 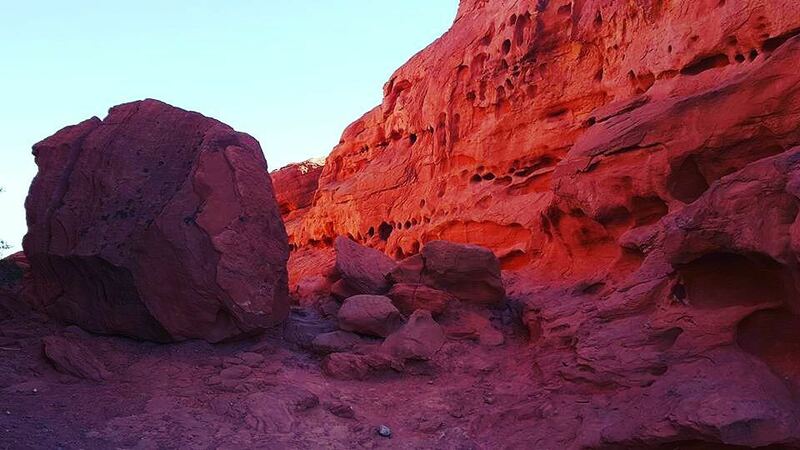 It was a very memorable day for us as we’d never seen such stunning bright rock faces before. In March I started a new business which is blooming nicely! In April I went back to Las Vegas for the Arbonne annual training conference which was AMAZING! I learned so much about business and about personal growth that I can apply to Arbonne and to Drakestail and to life in general. In May I traveled to Ontario to meet my adorable niece Everly who had been born in March. 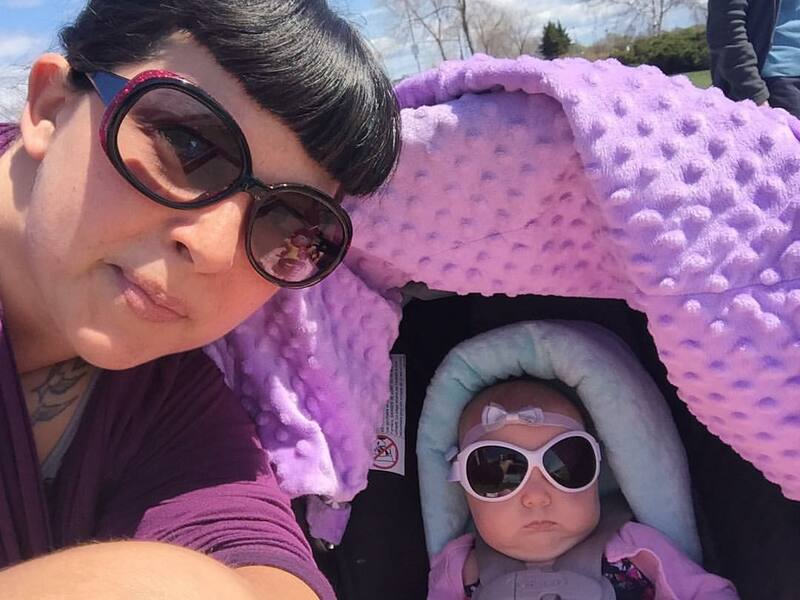 She loves vintage shades just like her auntie! In August I took 5 full weeks off from my day job and focused on my other endeavours which was actually life altering for me. This same month Craig and I hit the road for 12 days. We did some camping and scuba diving in Alberta. We brought the dogs and the cat on this road trip and had a blast! I also reached my goal of achieving master diver status before the end of the summer. In November I ran away to Jamaica for 3 weeks, spent the first week with my dear friend then we were joined by friends and family and Craig and I were married on a beach by the ocean. 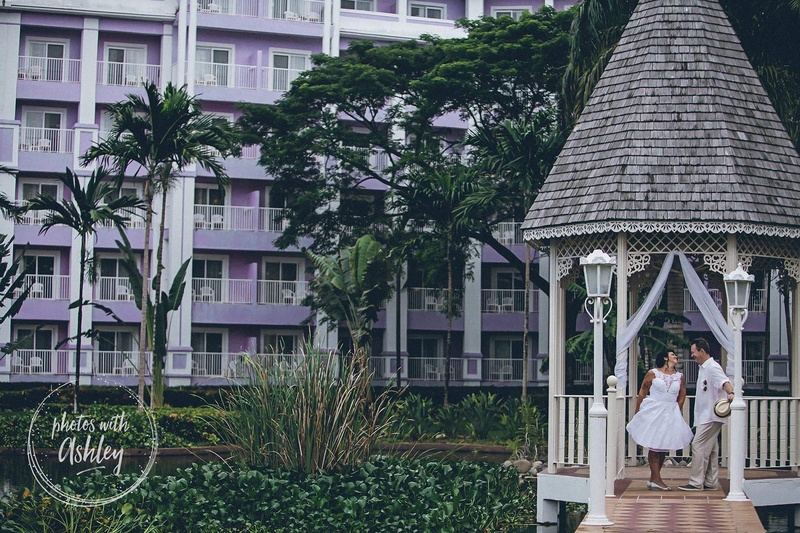 As a side note, all the lush Jamaican vegetation in my wedding photo feels like a great fit to the colour of the year for 2017. Who knew?! As grateful as I am for 2016, I am really looking forward to the year ahead. I have set some goals for myself in each of my businesses and at my day job that I am excited to work on. I am wishing a fantastic year ahead to you and yours, I cannot wait to see what fabulousness 2017 will bring! 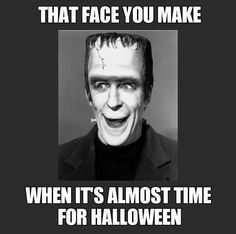 With Halloween just around the corner on Monday, I hope whatever your plans are this weekend, you enjoy and treat yourself well! 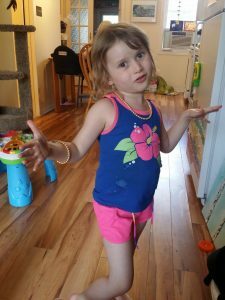 My niece CC was born 5 years ago this July, I had been debating what to gift her. Over the years I have tried to stick to educational, not traditionally “for girls” type gifts as she’s a brilliant young human being and I’ve always wanted to encourage that mind to grow. She’s part dreamer, scientist, astronaut and princess all rolled into one (among other things). I admire CC immensely. She has no biases and places no limits on herself. She is a marvel to watch. Not having children of my own, I hold adamantly to the rule that I need to follow her parents’ lead. I pay attention to how they speak to her and discipline her and try follow suit, consistency is magic for kids! This year, leading up to her birthday I was chatting with her Mom about gifts and party plans. Though I live far away I like to keep in touch as much as I can. 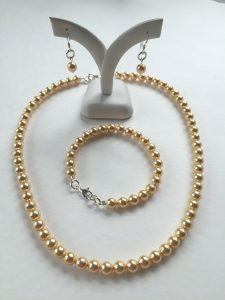 CC’s Mom told me that CC had requested a princess dress for her birthday party so I asked if gifting her a set of princess jewellery would be acceptable. Mom agreed, jewellery would be perfect! 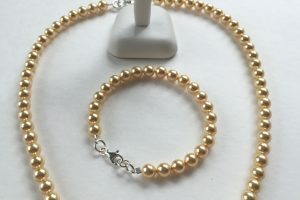 As you all may have noticed by now, I LOVE pearls. Diamonds just aren’t my thing. 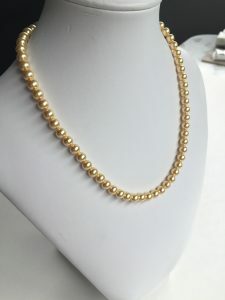 So I thought a set of classic pearls would be great for CC. A little bit of me, gifted to her. Something she can keep over the years. I made them slightly long so they should last the next few years and if ever it becomes necessary I can always adjust the sizing of them down the road. 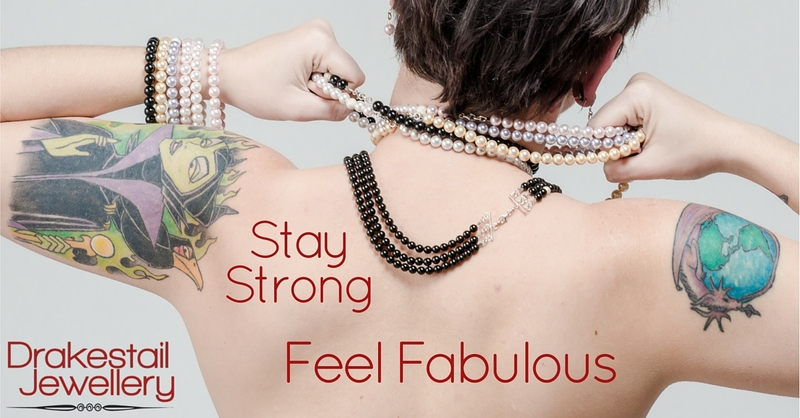 She can have this set of pearls forever, if that’s what she decides to do. 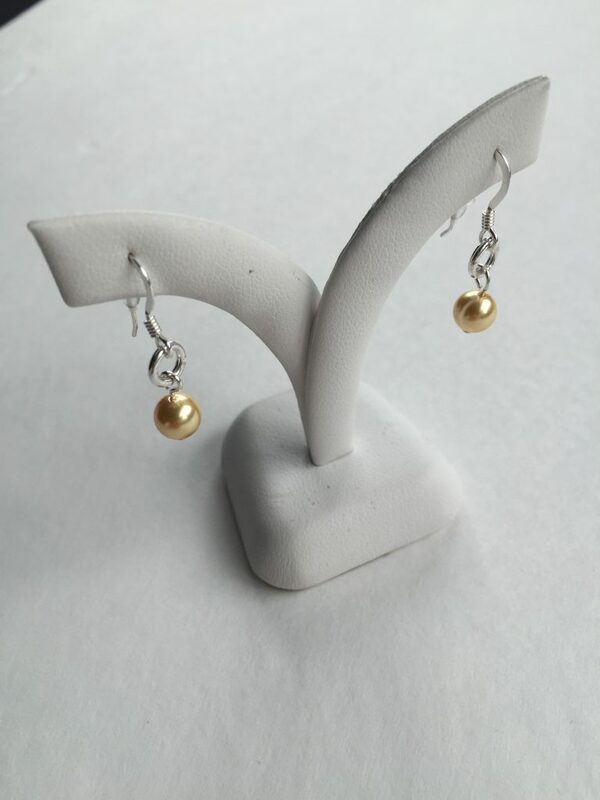 This set is made with gold Swarovski crystal pearls in 6 MM with silver filled findings. 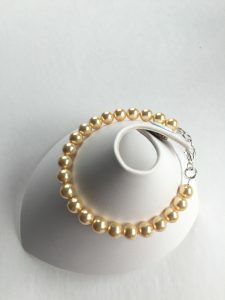 A very classic colour for pearls in a classic, simple design. At the time I didn’t know what dress CC ended up picking for herself so I wanted a versatile set that would go with anything. 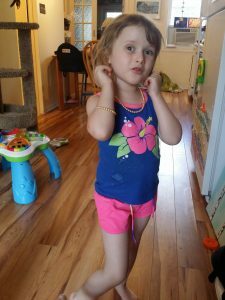 Mom reports that CC LOVED her jewellery and wore it all weekend long. Nothing makes an auntie happier than hearing that! CC showing us her pearls!